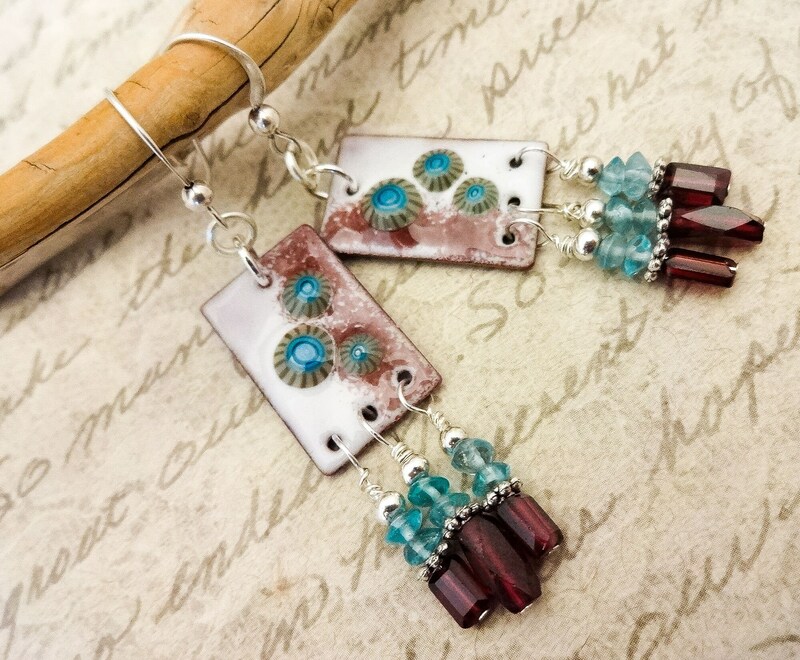 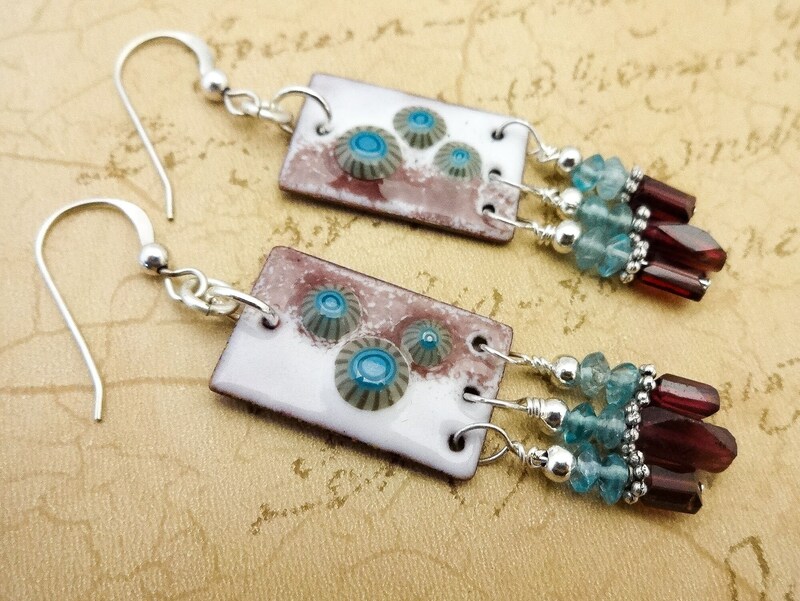 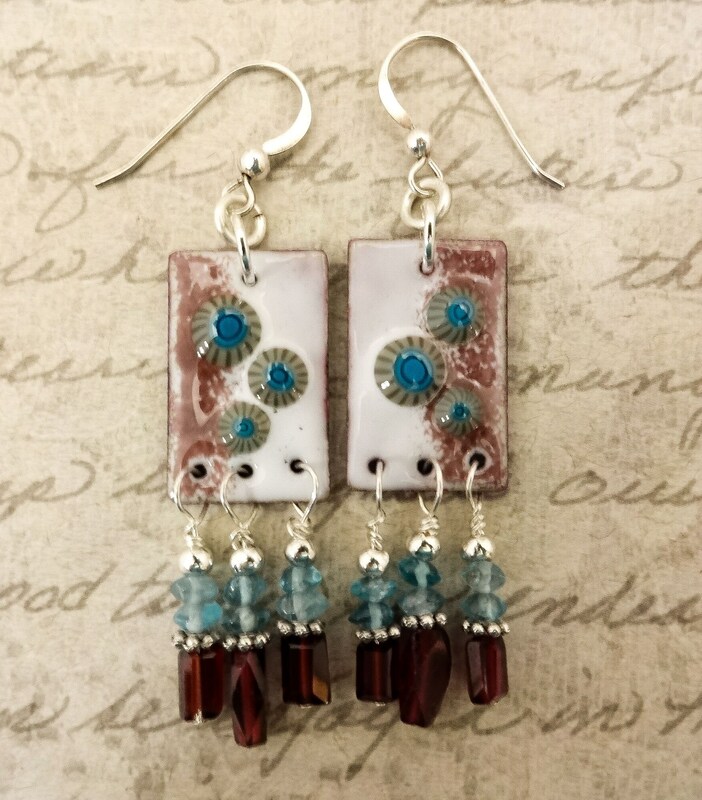 These one of a kind (OOAK) earrings feature gorgeous artisan enamel components by Cathleen Zaring of Blue Hare Art Wear. 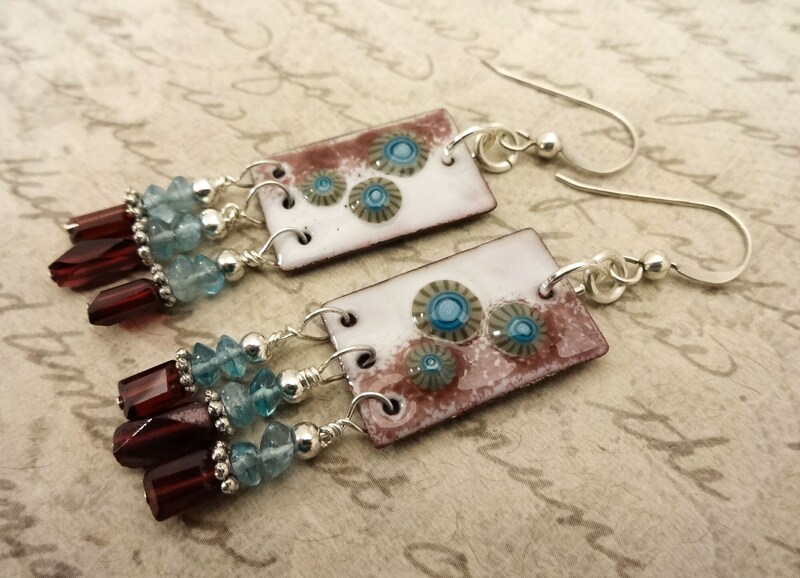 The colors are gorgeous - dark maroon red, light aqua blue with a white background. 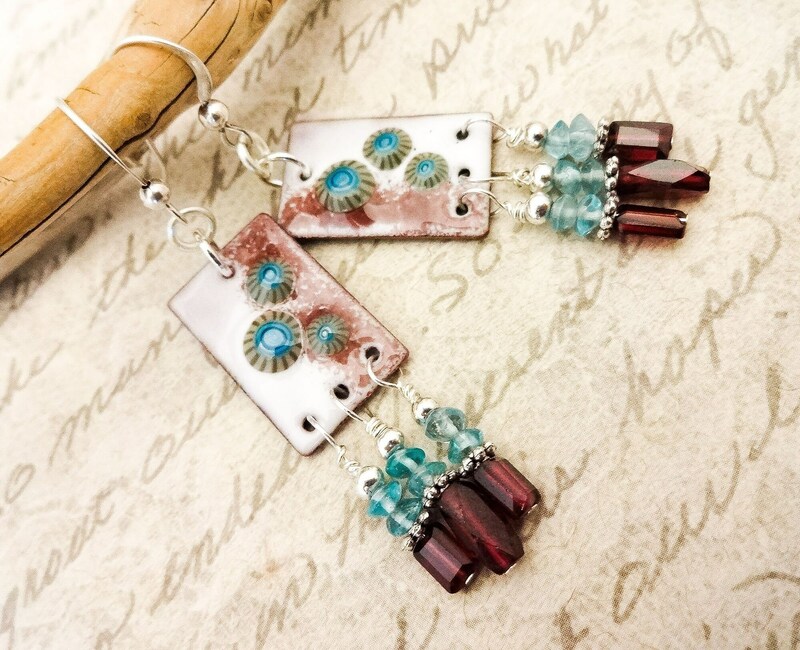 I paired the enamel with equally gorgeous faceted Garnet rectangles. 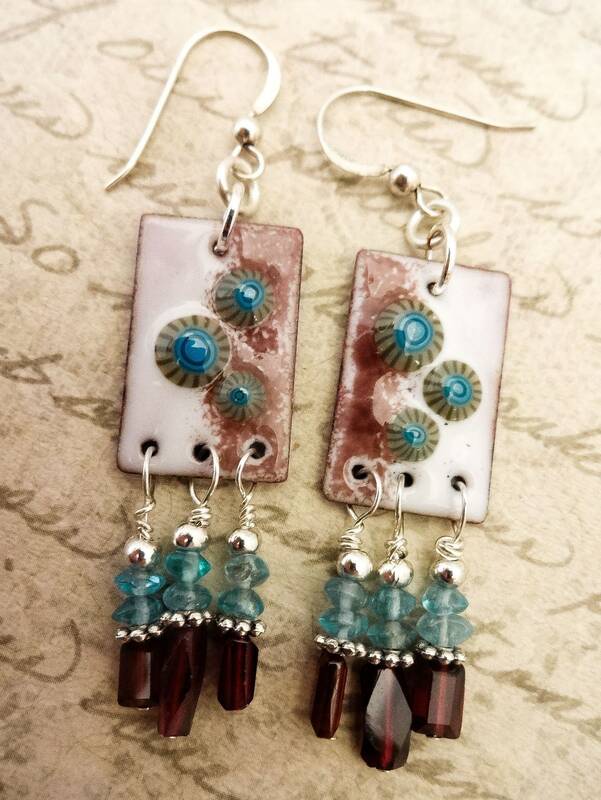 Above the Garnet beads are light aqua blue Apatite rondels that are hand cut. 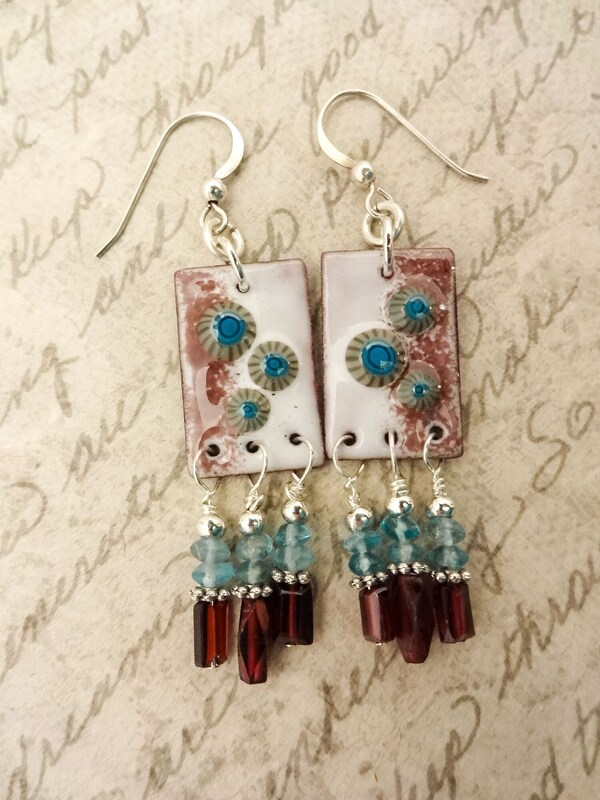 I wirewrapped the garnet and apatite beads with sterling plated non-tarnish wire and attached the enamel to the Sterling Silver French Hook ear wires with silver jump rings. 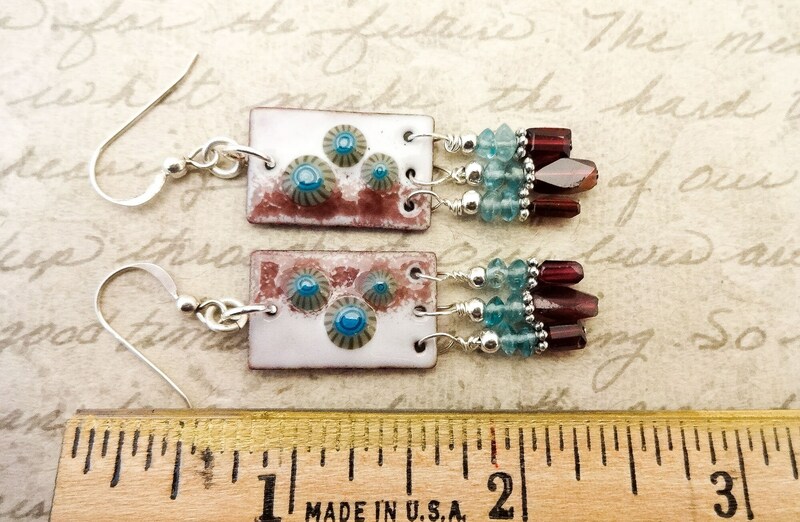 The length from the top of the ear wire to the bottom of the enamel is about 3 inches. 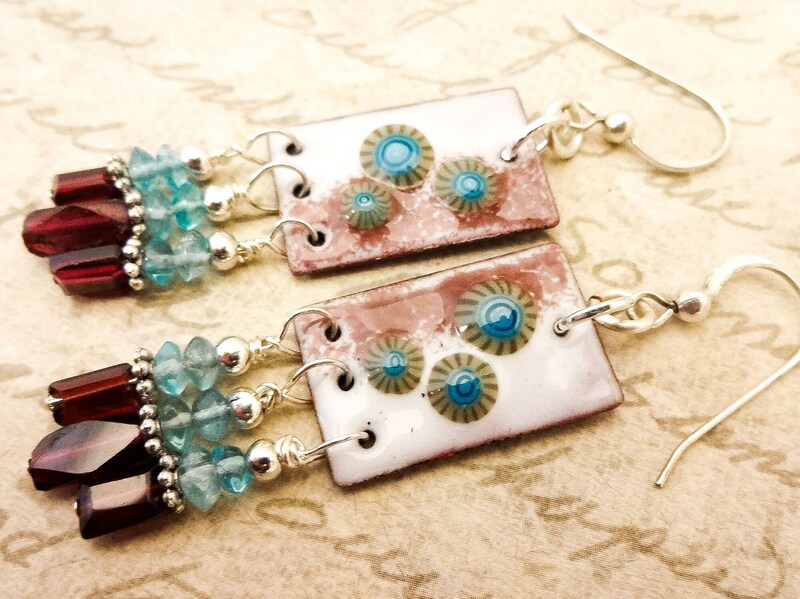 I also have Sterling Silver 4mm ball post or Leverback ear wires if you prefer; just send me a message.